New figures from SQM Research reveal a drop in January vacancies. Australian residential property sale listings have fallen nationally in January, with a 2.3% vacancy rate, down 0.3% from December 2014, the latest SQM Research data shows. Resulting from the wave of renters seeking accommodation after the summer, the capital cities of Melbourne, Brisbane, Canberra and Sydney fell the most. Hobart had the lowest vacancy rate of 1.3% and the biggest yearly decline thanks to a stronger economy boosted by tourism and a lower Australian dollar. Highest vacancy rates were recorded in Darwin at 3.3% and the highest yearly increase in vacancies while Perth’s vacancy rate was also up at 2.6%, 0.7% higher than the previous year. SQM Research Managing Director Louis Christopher said vacancy rates in Darwin and Perth would likely continue rising in 2015 as the mining sector continued to contract given falling commodity prices. “The mining downturn has caused a big contraction in employment in the mining and resource-related sectors, particularly in temporary/contract jobs, and that will likely continue to push up the jobless rate in Perth and Darwin,” Mr Christopher said. 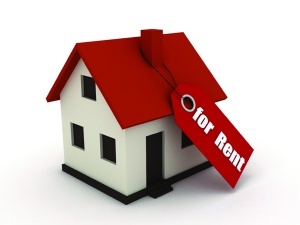 SQM Research data reveals asking rents in Perth and Darwin have dropped significantly. Over the year to February 12, asking rents for houses in Darwin fell 11.4% and dropped 3.4% for units, with Perth recording a 7.2% fall in asking rents for houses and a 4.7% decrease for units. Latest poll: Does the convenience of online lending pose a threat to the broker industry? Click here to share your opinion.